Religion is often cited as a reason against assisted suicide being sanctioned yet it is difficult to trace if there are any global opinion-poll results of those opinions. Eurostat gives asylum statistics for applicants fearing persecution for their religious beliefs in addition to other beliefs because of those applicants deviating from the normative-beliefs of their birth country (European Commission Eurostat, 2012). The Office for National Statistics categorises religions as affiliates in England and Wales and further by majority, minority and other which has deviated from normative religious. In 2011 of the majority affiliates totalled over 59% of the population and were Christian, over 4% Muslim and 25% declared they were not religious (Office for National Statistics, 2012). The minority affiliates of the population over 1% were Hindu and below 1% were Sikh, Jewish and Buddhist. All of the other were below 1% and were Pagan and Spiritualist and of Mixed religion (Jain, Ravidassia). Neither Eurostat nor Office for National Statistics gives statistical opinions of assisted dying or in religious context or in specific countries, is this because there is no opinion or is it because opinion has not been asked for? A published paper by the Journal of Medical Ethics analyses the legal Duty of medics involved in assisted dying, gives a decadal timeline for the practice in western countries and outlines motivations in those countries (Bosshard, et al., 2011) so as to include legal and ethical positions to assisted dying in the medical profession. The paper includes suicide and euthanasia in assisted dying and recognises these have different legal and ethical duties in the Western countries. In England and Wales the Suicide Act 1961 section 2 (1) informs it is illegal for someone who, ‘aids, abets, counsels or procures the suicide of another’ and that (2) those accused of such, ‘the jury may find him guilty of that offence’ (3) though there are operational exceptions (National Archives, n.d.) for Forces in (1) and (2) (National Archives, n.d.). There are no exceptions in relation to the general public or practitioners in the public realm regarding assisted dying. A driver which must be considered is transparency and accountability recently discussed in the Commons and granted by Commons Select Committee in March 2013 (Parliament UK, 2013). Though these discussions were not directed at assisted dying they do illustrate people at all levels in society are concerned with wellbeing and accountability rights with respect to health. In life there are many empowering choices people can make and pertaining to health, such as abortion, cosmetic surgery and treatment for cancer. Just because these are legal in the UK does not result in each person opting to utilise them, so would assisted dying be utilised by each person or just a minority? Both the paper and the speakers in the debate move on to the autonomic rights of the medics and of the persons wishing to end their lives. Another area to consider is the professional bodies that regulate their members to practice. A question worth asking is would medics who decide to prescribe assist dying become speciality doctors requiring to meet specific criteria to qualify as they do in other speciality doctor fields? (Royal college of Physicians, n.d.). This could offer a professional and qualified solution in part but could question the personal gains aspect of motive as career progression. Moreover it could assist the individual wishing to end their life with a reassurance that the action by the medic meets Standards when undertaken yet simultaneously release the onus upon all medical professionals to comply. It also enables Remedies for when assisted dying fails the individual or the medical professional (Duxbury, 2003). The Journal of Medical Ethics illustrates the disparity in 2005 between professional bodies with regards to the decision of assisted dying with 2:1 opposing yet agreeing to a referendum so as to ascertain their position (English, et al., 2005) therefore offering society their decision. Regardless of the decision, what is the risk to society of that decision? The UK is recognised globally as a democratic society striving and driving itself in responding to and solving problems therefore fitting the principles for risk characterisation given on page 155 of the report, ‘Understanding Risk: Informing Decisions in a Democratic Society’ (Committee on Risk Characterisation, Commission on Behavioural and Social Sciences and Education & National Research Council, 1996). So how would global citizens’ view our democratic decision- would it affect our economy? Would it create new business? Would it prevent people from entering the UK? Given the Localism Act 2011, should the decision be given to regions in local elections so that the general public can vote upon whether to have this law or not? Or should it remain with MPs, Professional Bodies and the House of Lords to decide? After all those people are mostly elected to govern and scrutinise decisions in the general public’s interest. In 2005 the House of Lords published a report in which they noted the receipt of 14,000 letters and emails (Parliament, 2005) from the UK, Netherlands, Switzerland and Oregon in response to the Assisted Dying of the Terminally Ill Bill (Parliament, 2005) known as HL Bill 17. Given the number of people in those countries 14,000 emails and letters is a relatively small percentage regardless of whether those responders were for or against the Bill. It does however illustrate that people did have opinions of HL Bill 17, though not necessarily religious opinions, to the Bill which gave individuals the right the change their mind, and which gave operational exceptions to the medical profession in Section 7, an in Schedule 1 a contractual declaration form (House of Lords, 2004). Bill 17 is not in isolation and there has been a number of proposals over time (Parliament UK, 2012). 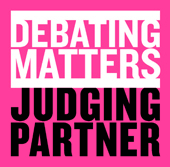 This discussion has been considered and debated to the highest political level in the UK, and though it may be assumed religious interest is the greater opponent, ultimately there is opposition to the ending of one’s life as it is considered wrong therefore illegal. Duxbury, R., 2003. Nutshells Contract Law. 6 ed. London: Thomson Sweet & Maxwell. English, V., Mussell, R., Sheather, J. & Sommerville, A., 2005. Ethics Briefing: "Assited dying". Journal of Medical Ethics, 31(10), pp. 619-620.